Thomas A. Heckman, 88, Green Bay, passed away peacefully at home on Saturday, January 26, 2019, with his loving family by his side and entered into the loving arms of his Lord and Savior, Jesus in Heaven. He was born on January 7, 1931 in Antigo, WI to Reno and Ethel (Rezek) Heckman. On September 6, 1959 he married Jean Diestler in Shawano, WI. In 1990 Tom retired from Chicago & Northwestern Railroad after 40 years. 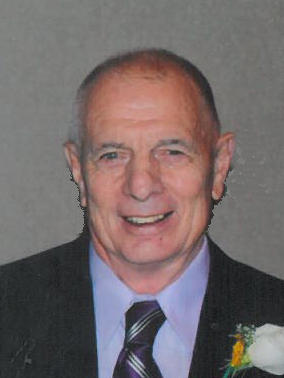 He was an active member of St. Mark Lutheran Church in Green Bay. Tom was a kind, generous, and loving husband, father, and grandfather who cherished time spent with his family. He also enjoyed time spent at the cottage, dancing, watching the Packers and NASCAR, gardening, and playing cards and dominos with friends. Tom is survived by his wife, Jean; three children, Mark (Teresa) Heckman, Green Bay; Scott Heckman, Suamico; Beth (Dave) Walters, Howard; four grandchildren, Christina Heckman, Coralville, IA and fiancée Aaron Baird; Daniel Heckman, Green Bay; Nathan and Libby Crabb, Howard; sister, Lois (Charles) Krall, Theresa, WI; brother, Jay Heckman, Dousman, WI; brother-in-law, David (Jeanette) Diestler, Green Bay; nieces and nephews. He was preceded in death by his parents, a brother, Bill (Janet) Heckman; a sister, Jean (Bill) Koehler. Visitation will be held on Wednesday, January 30, 2019 at Lyndahl Funeral Home, 1350 Lombardi Ave., from 4:00 p.m. until 7:00 p.m. with a prayer service to follow. Visitation will continue Thursday, January 31, 2019 at St. Mark Lutheran Church, 1167 Kenwood St., from 9:00 a.m. until the time of the funeral service at 11:00 a.m. with Pastor Chris Johnson officiating. Expressions of sympathy, memories and photos may be expressed with Tom’s family on his tribute page at www.lyndahl.com. A memorial fund will be established in Tom’s name to benefit St. Mark Lutheran Church and Unity Hospice. Special thanks to Ashley, Lori and the staff of Unity Hospice and to Dr. David Spika.